God has placed deep longings in the heart of every human being. We all long for beauty, for greatness, for fascination, for intimacy. We all long to be enjoyed, to be whole-hearted, to make a lasting impact. Many of us have been taught to deny these longings. Weve been told they are not of God. But the problem is not the longings  they are given of God and cannot be denied. Problems only arise when we attempt to fulfil godly, legitimate longings in ungodly, wrong ways. Only God can fulfil the longings He has given to us. Only God can truly satisfy the deepest longings of our hearts. When we realise our longings are godly and God wants to fulfill them, we find freedom and joy. We experience intimacy with God in ways wed never thought possible. The Seven Longings Of The Human Heart Book by Mike Bickle was published by Forerunner in April 2009 and is our 24616th best seller. 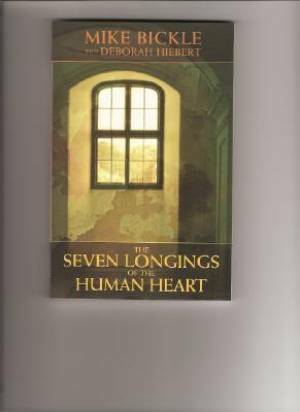 The ISBN for The Seven Longings Of The Human Heart Book is 9780977673841. Be the first to review The Seven Longings Of The Human Heart Book! Got a question? No problem! Just click here to ask us about The Seven Longings Of The Human Heart Book.